The Ferrari F355 is one of the best looking cars ever to wear a prancing horse. The analog driving experience is something you just can’t find in modern cars and then there is that exhaust sound. The one downside, besides the high price of entry, is the maintenance costs. Due to the need for major engine out servicing about every five years, even if you can afford to purchase the car, you may not be able to afford it. All of this makes it less attainable and then there is the chance that it will burn to a crisp. 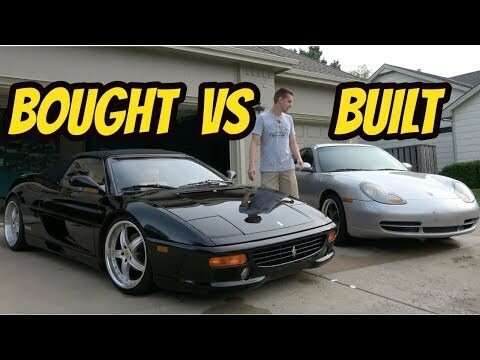 Just about nothing describes first world problems more than the difficulty of choosing between a Porsche 911 and a Ferrari F355. In this case the choice is between a modified Porsche 996 with a Chevy V8 sitting in the back and a stock Ferrari F355. 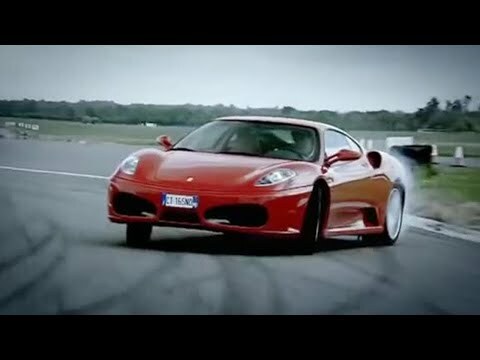 Porsche or Ferrari; it is a debate that has raged since the two rivals first battled it out on the track. 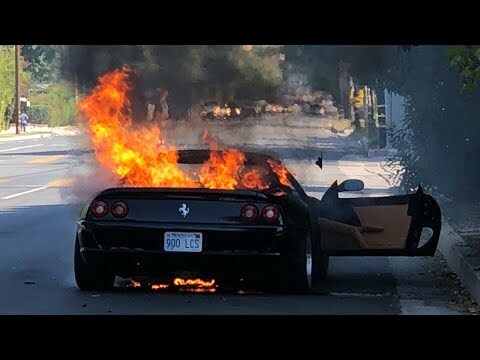 Ferrari makes the more expensive road cars and they are made purely for speed. In fact the Italian automaker started producing road legal machines to help finance their racing efforts. Porsche on the other hand is a sports car that comes from relatively humble roots. The early sports cars had many parts sourced from Volkswagen, but Porsche transformed all of this into quite a sports car. The original Porsche 356 and 550 Spyder showed just what an air-cooled flat-four engine could do, but the 911 is what really made the German performance car maker into a legend. 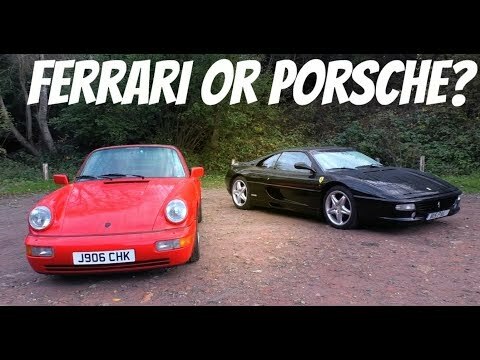 In the 90’s the Ferrari F355 and Porsche 911 (964) where two of the most sought after cars, but which is the better drive?